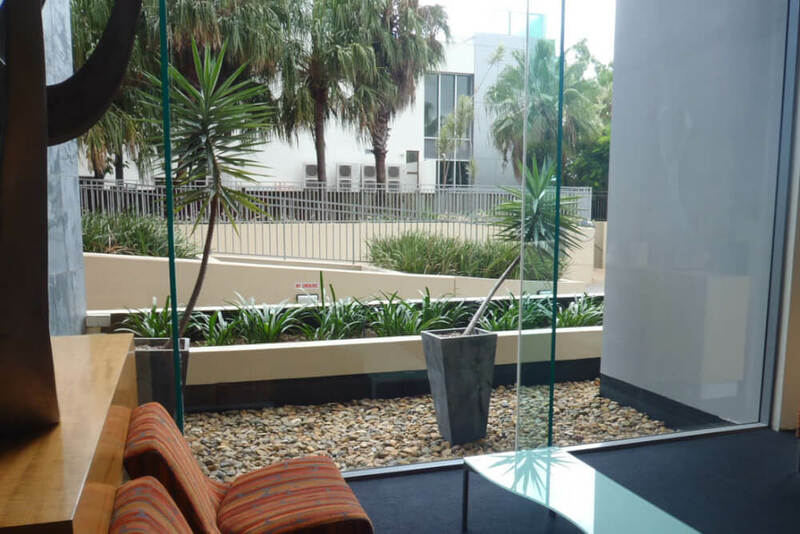 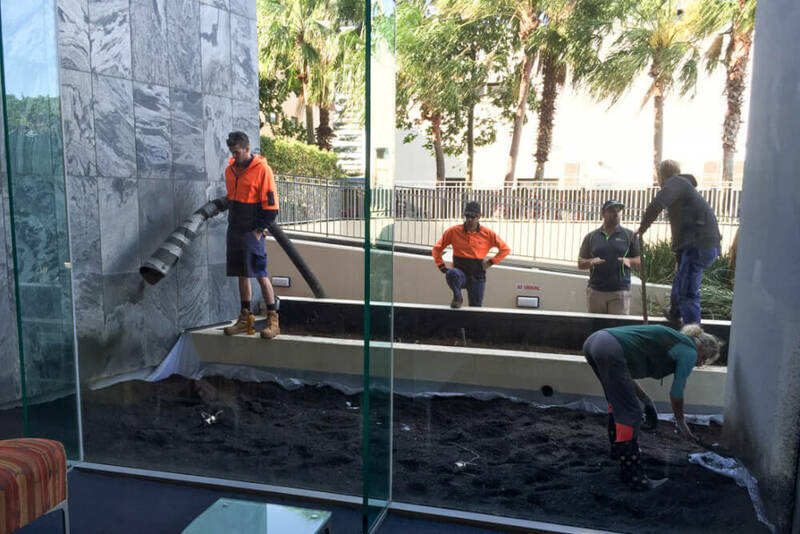 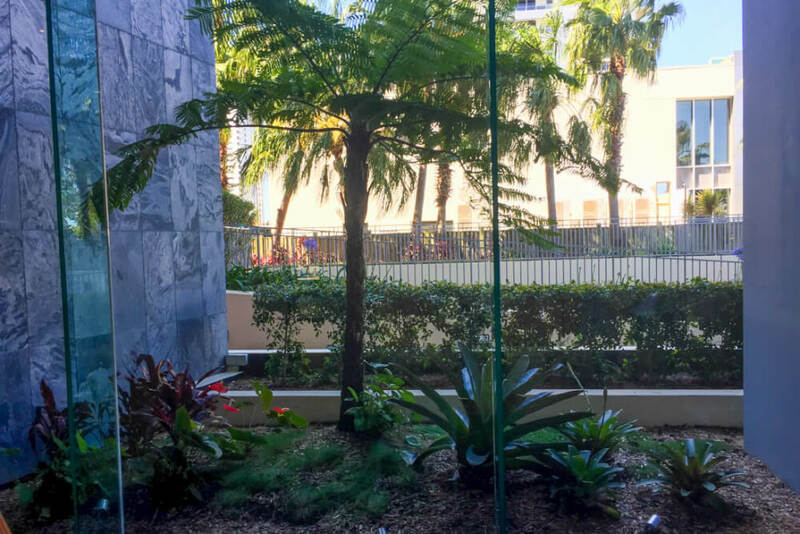 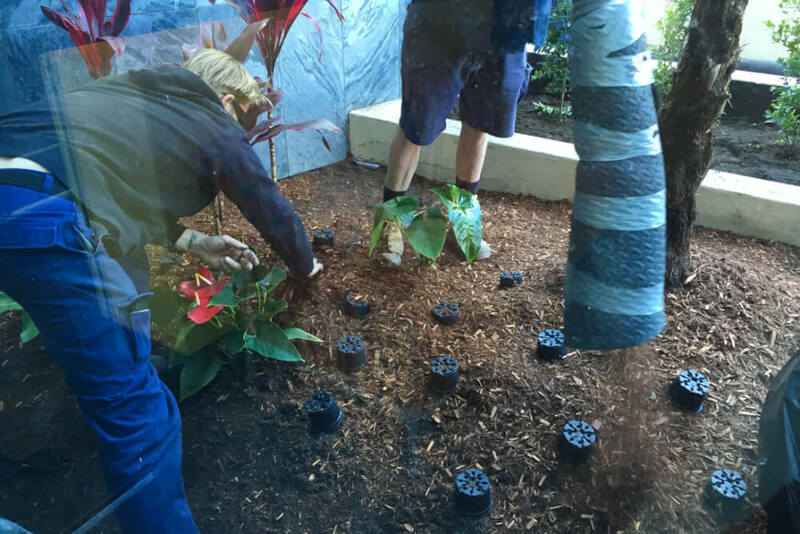 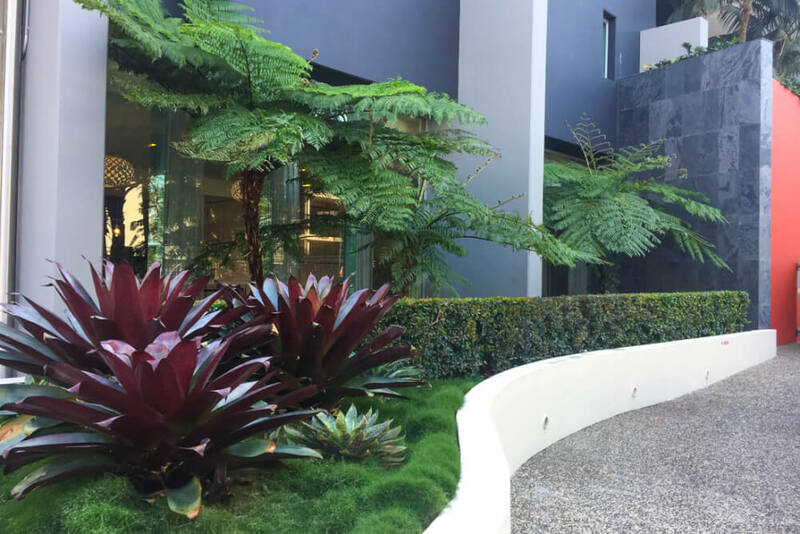 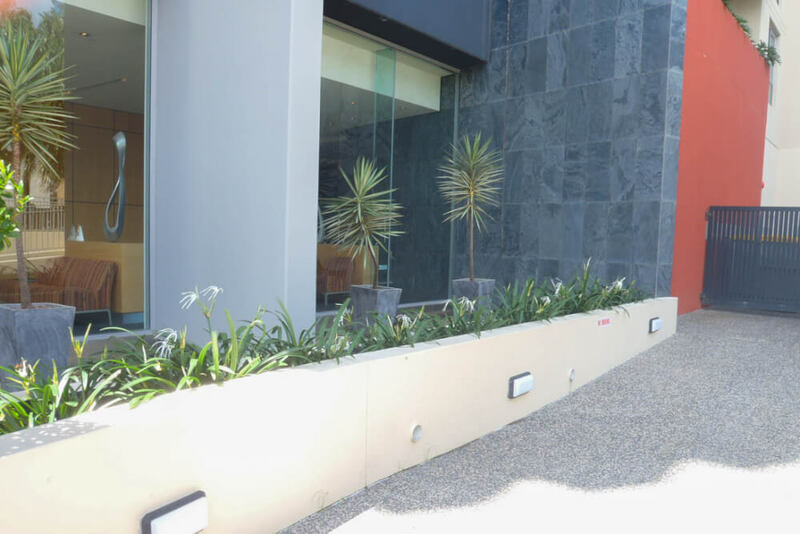 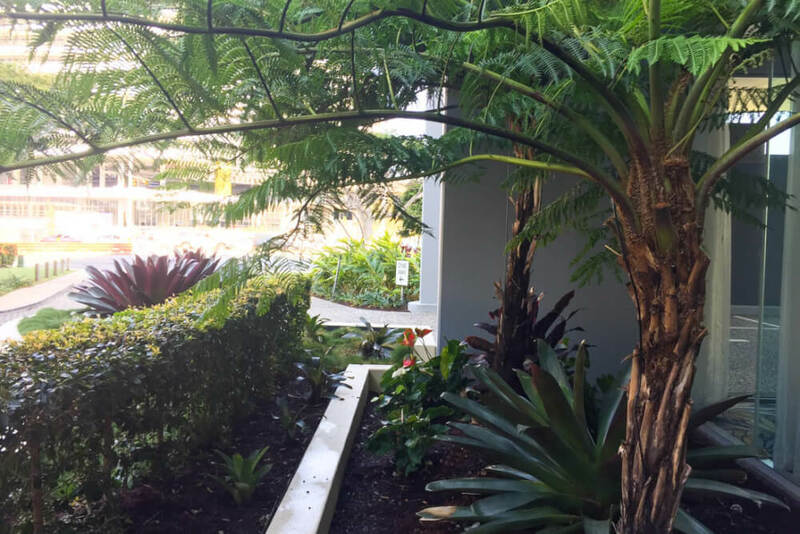 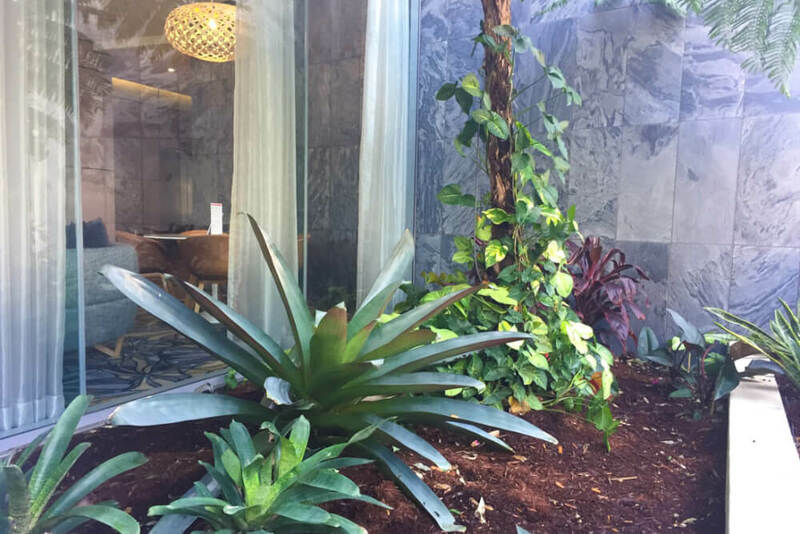 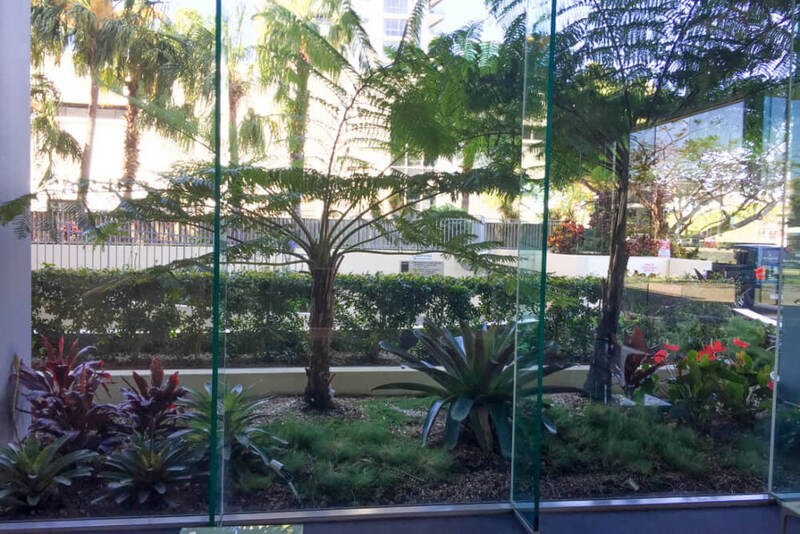 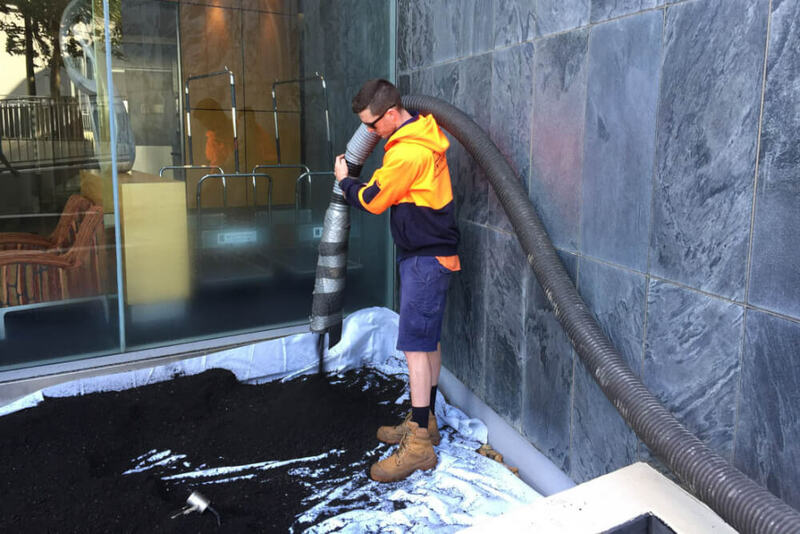 Our High Rise Landscape Refurbishment for ‘Mantra on the Park’ in Broadbeach involved the conversion of a large shallow outdoor unwanted water feature, overlooked by the main entry foyer, into a gorgeous leafy zen style garden shaded by Tree ferns. 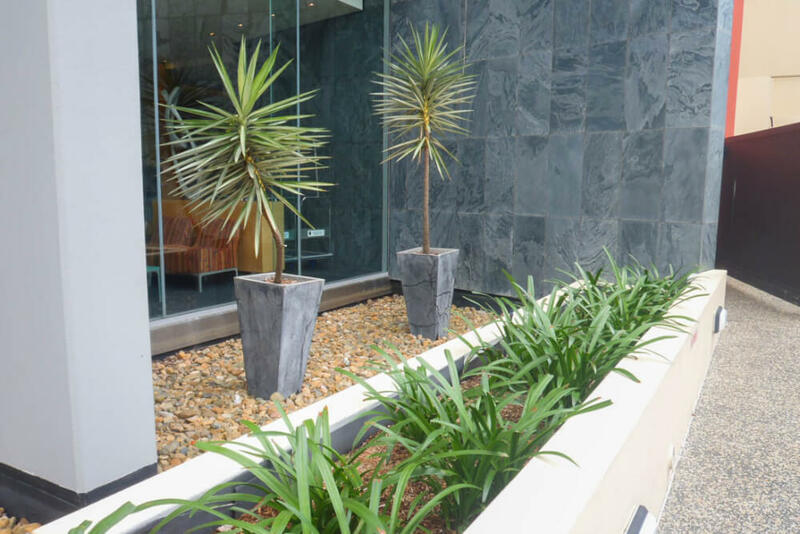 Grotec’s High Rise Landscape Refurbishment for ‘Mantra on the Park’ began with a Landscape Design Plan. 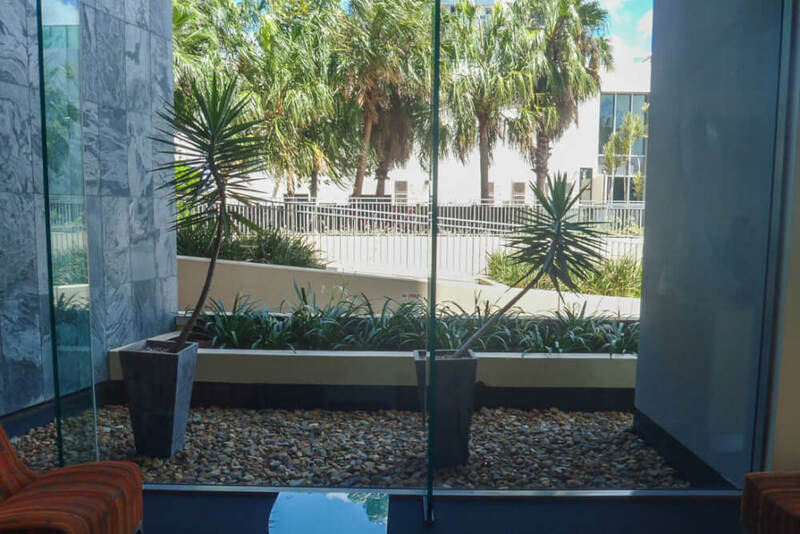 The Brief was to consider the conversion of a large shallow water feature into a garden, that could be admired from the main entry foyer, 12 months a year. 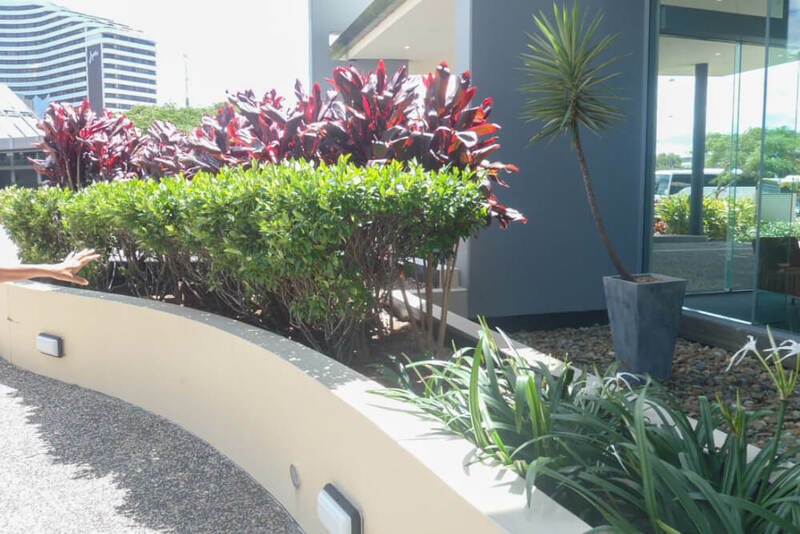 Strong South Easterly coastal winds, hot summer western sun and shade most of the day were just some of the challenges the team had to address. 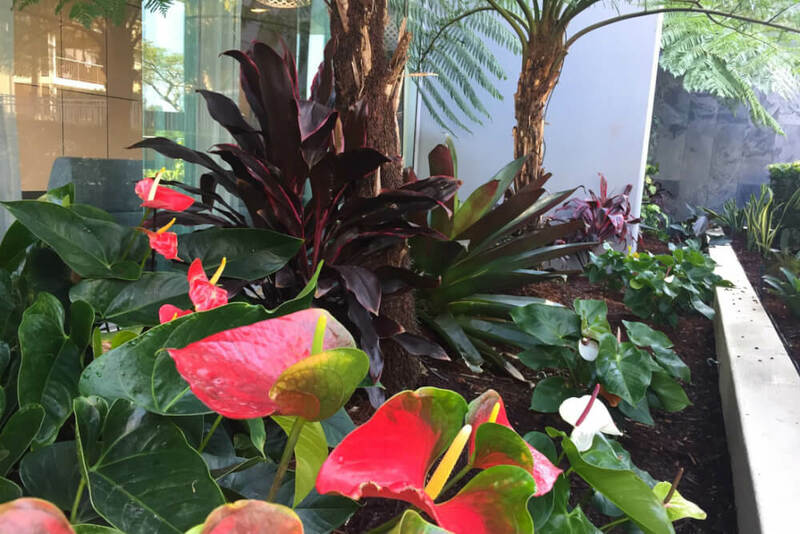 The design included Tree ferns, Alcanteria’s, Vriesias, Anthurium, Cordylines and groundcovers. 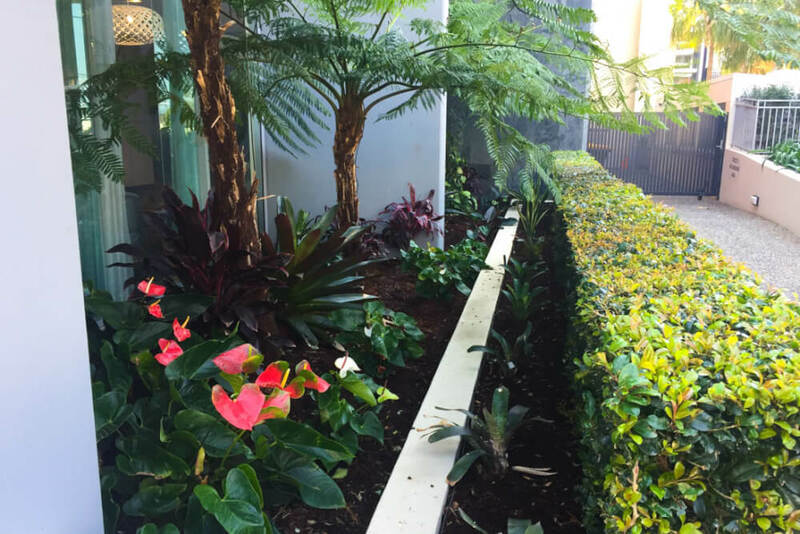 A screening hedge of Lilly Pilly was planted to act as a shield against the salt laden winds. 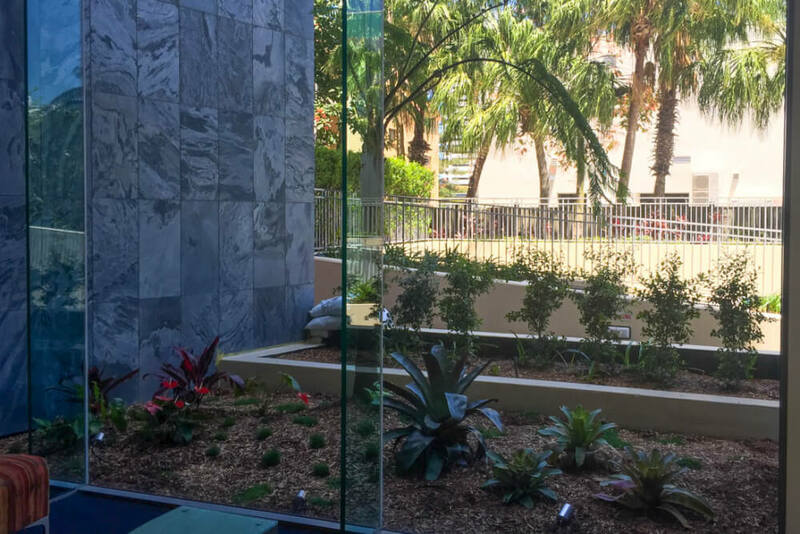 Upon approval by the Body Corporate, our team installed the gardens and the end result has been outstanding.